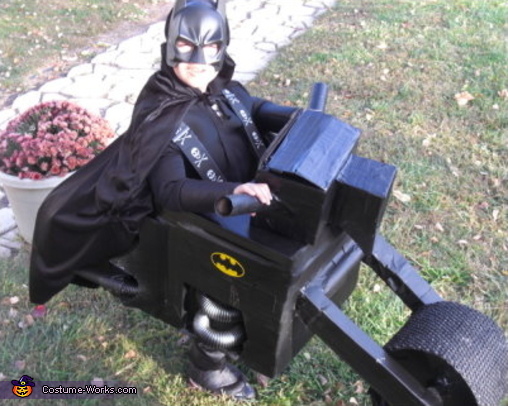 Batman rides a BAT-CYCLE! A creation by Dad, Bob... it has all of the bells, whistles & lights! Here is 4 yr. old Jacob as Batman. As usual, Jacob's Dad, Bob, went all out to make this homemade costume WITH Props and Accessories, One that will definately stand out in this competition Ü. This homemade costume for boys entered our 2008 Halloween Costume Contest, and won 4th place!